In today’s post, I’m going to do an overview of Yoobly. I was fortunate to interview their CEO recently, and I thought the interview provided some incredible value that would benefit my website visitors. I hope you enjoy it. # 1 Can You Please Tell Us a Little Bit About Yourself, Dustin? My name is Dustin Briley. I would describe myself as hardworking, persistent as hell, and someone that doesn’t take no for an answer. I’ll put it to you like this… I had my first job in the fourth grade delivering newspapers and have been handling business ever since. Fast forward a few years, probably less than a year or so away from graduating college, I threw all my chips in and quit college to start my first business as a paint contractor. Knowing nothing about running a business or painting, everyone assumed I would crash and burn. But against all odds I flourished and found my true calling. I turned an idea into a six figure business with a dozen employees that provided me with 6 months off in the winter to do whatever I wanted. With the profits and the time off I started investing into real estate and was quickly able to amass my own little real estate portfolio of income properties. My world was turned upside down when I met the woman of my dreams. She was a vivacious and fearless Alaskan pilot, who always pushed life to the limit. I knew instantly I wanted more out of life and with her by my side. Shortly after welcoming our first child into the world we got married, sold our booming company, liquidated our real estate portfolio, moved out of Alaska, and took every last dime we had to purchase an online business. Phew, all of this in a year. Both my wife, Mariko and I jumped head first into our new business as online lead generation entrepreneurs. A few short years later with our new knowledge of lead generation, my wife’s background in network marketing and my experience starting and scaling companies we decided to merge our skill sets and launch Yoobly. There have been many ups and downs in our life as entrepreneurs, but I would not change anything. Each experience, both positive and negative, have led me to the spot I am now. I wholeheartedly believe that consistent failure provides you with the building blocks to success. My secret to success is simple. Don’t be afraid to fail. I fail more often than most people even try. # 2 Can You Tell Us About Your Experience in Network Marketing? To be honest, I thought network marketing was a pipe dream. The whole ‘too good to be true’ kinda thing. I really started to understand network marketing when I married into it. Once you tapped out your family and friends there really was no other place to go for more business. Remember, this was before the internet had become so mainstream for businesses, you know when people still used phone books… LOL! Many of our lead generation clients were network marketers as well with very similar problems. Not only was my wife and her mother having problems generating new business, but a lot of other network marketers as well. That got my wheels turning. I called my best friend who was also climbing the ranks in his Network Marketing company and he said the same thing. I thought, “There has to be a different way to attract new clients.” In that moment my life changed forever. I immersed myself in the network marketing world on a mission to use the internet and social media as a tool to generate new business for network marketers. # 3 Will You Give Us a Brief Overview of Yoobly? Yoobly was established by myself and my wife, Mariko Briley, after working closely with network marketers and seeing a need to more effectively market themselves online. We teach network marketing professionals how to successfully GROW their business online using social media and other online marketing strategies. 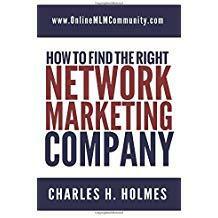 There is a large gap between network marketing and online marketing. Yoobly bridges that gap. We teach online lead generation with a focus on attraction marketing. We’re all about network marketing tips, goal setting, motivation, self improvement, lead generation, business building, help, support, and providing up-to-date information. We want to help others UNLEASH THEIR STORY to reach the people who need to hear it. # 4 What Products or Services Does Yoobly Offer? Yoobly educates Network Marketers on how to use social media and other online resources like blogs to generate new and qualified leads for either product users or business builders. We provide an easy to use online training center packed with everything you need to know from start to finish. We also offer sales training, live workshops, social media marketing, advanced marketing training, coaching, amazing customer service, and we’ve just added video marketing to our repertoire. # 5 Why Did You Create Yoobly? Yoobly was created around a serious need in the network marketing industry. A need that many people close to me had. A need to find new, targeted and highly qualified clients and business builders outside of family and friends. # 6 How Long Has Yoobly Been in Business & How Has It Changed Through the Years? Yoobly was hatched 8 years ago and opened for business in 2011. We devoted years to research, testing and development. We did not want to teach others a theory or idea that I could not 100% stand behind. We spent hundreds of thousands of dollars making sure that the Yoobly training program was solid and actually worked. Since 2011 we have come a long way in terms of mindset training for clients and learning more about the psyche behind marketing. Keeping clients motivated and positive goes a lot further than more education. The training itself is continually updated as we test and implement new strategies. # 7 What Separates Yoobly from Its Competitors? Yoobly does vary from many different companies in the same industry. We specialize in just Network Marketing. We also have amazing customer service. If you need help you have access to a real live coach who can offer excellent advice and feedback. Our inhouse software is also unique. Instead of having to purchase two or three different types of complicated high cost software, we’ve created a specific system that combines everything in one easy to use spot. With it, our clients are able to buy a domain, send automated emails, create a website, manage landing pages/capture pages AND keep their contacts well-organized and centralized, without any added headaches. We also offer more than just online lead generation training to all our members. Many companies show you how to get leads and that it. We actually teach people how to close leads and enroll new clients. # 8 Has Yoobly Received Any Awards or Recognition? Dustin Briley is the best-selling author of, “The Authority Mindset: Proven Principles For Establishing Yourself as an Expert in Any Industry”. Yoobly has also been recognized in Top 100 MLM blogs and Websites. # 9 Do You Have Any Success Stories You Could Share of Network Marketers Who Have Used Yoobly to Help Them Build Their Business Online? Michele just launched her first ad on Facebook and receives on average 10 highly qualified leads per day on a $5 budget, $.50 per lead. That is huge! LaJean, a client with no previous social media or online marketing experience, followed our program and enrolled a total of 80 new clients in 3 months. She has been able to kill it with our new video training! Julie just sent me an email thanking us for helping her climb up 2 ranks, solidifying her business builders, and seeing an undeniably unstoppable positive momentum in her business. # 10 What Are Three Reasons Our Website Visitors Should Join Yoobly Today? Yoobly offers highly effective and simple ways to understand marketing training specifically for network marketers who want to grow their business outside of family and friends. We view our clients like good friends. Their wins are our wins and we share the burden of their failures as well. We start with what the client needs, then work our way backwards. The program works! Everything that we teach, we do. Our entire business runs on the very social media marketing program that we teach. Yoobly is the guinea pig, not the client. Every technique is test first by us then passed on to the client. # 11 If Someone Wants to Learn More About Yoobly, Or Contact You, How Do They Do That, Dustin? To learn what Yoobly’s training is all about you really need to watch this webinar: “THE $100K CASE STUDY: HOW TO GENERATE NEW ROCKSTAR PROSPECTS & EXPLODE YOUR DOWNLINE WITHOUT SELLING FRIENDS & FAMILY”. You can visit our website to register for the webinar. If you want to contact me please send an email to dustinbriley@yoobly.com. I check my emails every evening during the weekdays. Sorry guys I take the weekend off to spend with my family. Dustin, I would like to personally thank you for the interview. I got a ton of value from it. For any of my website visitors reading this post, I highly recommend you visit his website and watch the webinar. Have a great day!